Sometimes inspiration can come from unexpected sources. 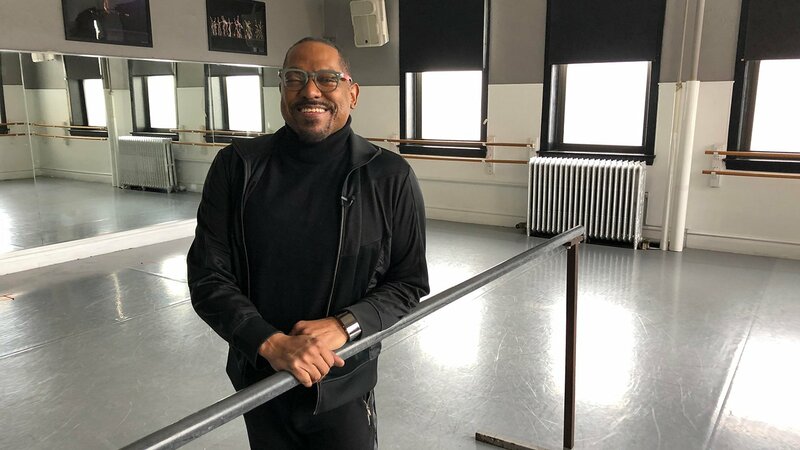 Randy Duncan, a longtime Chicago dancer, choreographer and teacher, found early inspiration on a TV show very familiar to Chicagoans of a certain age. Next month, he’s being honored by the Chicago Academy for the Arts for his long career in dance. As the third of seven children in a blue-collar family on the city’s West Side, Duncan says he was always a little different than his siblings. Duncan also liked watching musicals on TV. “I loved the costuming, I loved the lights,” he said. Duncan studied every flip, twist and backbend the acrobats performed on “Bozo’s Circus.” And then he would go outside and try them himself. “Everything that they did,” he says. Duncan was in seventh grade at the time. By chance, the following year he saw a notice about auditions for an all-city high school production of the show – including acrobats. “Mind you, I didn’t even know what an audition was,” he said. More than 1,000 students tried out for “West Side Story,” many who clearly had a lot of training and experience. Duncan was sure he didn’t have a prayer. But in that huge auditorium he took a chance that changed his life. “So here I am with my little eight-grade self, get up there on stage and I started doing my acrobatics from ‘Bozo’s Circus.’ Next thing you know, I’m a Shark,” he said. Duncan’s star rose quickly: the choreographer of that show invited him to train on scholarship. He became a professional dancer at age 15 when he was invited to join the Joseph Holmes dance company. He spent 19 years with that company – the last seven as artistic director. Now he’s chair of the dance department at the Chicago Academy for the Arts, where he’s been teaching since 1994. “They have a passion for doing what they do. And they’re very gifted, very talented young artists,” he said. “All they want to do is dance. And that’s really, really where I come from – looking into those beautiful eyes and seeing myself in their eyes. Randy Duncan will be honored at the Chicago Academy of the Arts all-school showcase on Feb. 9. The event is open to the public. In 1994, Randy Duncan was featured in a WTTW program called “Love in Four Acts” which highlighted the work of young choreographers. You can watch it below.